ThinkAutomation offers thousands of different process combinations and integrations. This helps you link applications and create workflows that connect your disparate data touchpoints. ThinkAutomation can connect to any product with a web API, as well as allowing you to write your own custom scripts. 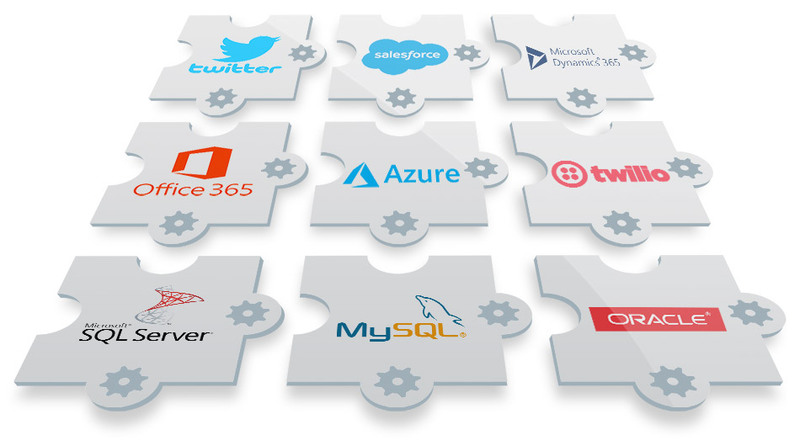 So, these integrations are an overview rather than an exhaustive list. If there is a specific integration you would like us to build and implement on your behalf, we’re also happy to help. Get in touch with our professional services team to find out more. Ready to start bridging your applications? Start building your own automation workflows with a free trial of ThinkAutomation.